Artificial intelligence (AI) and emotional intelligence (EI) and how they can optimise the customer experience (CX) is the focus of an investment by Daimler Financial Services into New Zealand start-up, Soul Machines. The undisclosed strategic investment in Soul Machines aims to further develop artificial and emotional intelligence for a multi-channel, customer-service pilot using an avatar 'Sarah' with facial recognition. Soul Machines is a leader in the field of emotional Intelligence for use in machines and digital avatars. Soul Machines has created a number of avatars including Nadia, a virtual human voiced by Cate Blanchett that’s being trialled by the National Disability Insurance Agency (NDIA). Nadia was designed to operate across multiple channels from the outset to create a consistent interaction for clients, with the face being just one representation. 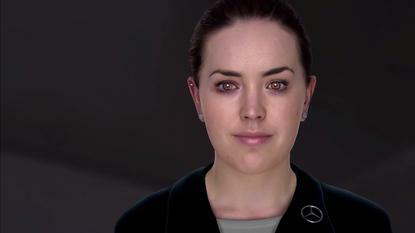 Another example of Soul Machines’ virtual humans in action is Sophie, a pilot customer interaction project for Air New Zealand. “After successfully testing how artificial intelligence helps our employees better service customers, we are now investing in a disruptive technology to further enhance the customer experience,” CIO of Daimler Financial Services, Udo Neumann, said. Daimler Financial Services and Soul Machines presented ‘Sarah’ in February at the Mobile World Congress in Barcelona. Since then, 'Sarah' has been successful in answering most frequently asked customer questions during an internal pilot at one of the company’s call centres in the USA. Daimler Financial Services plans to use Soul Machines' technology to optimise CX through artificial and emotional intelligence. 'Sarah' will be able to support customers like a personal concierge. Using EI, the machine will be able to recognise the most diverse individual customer needs and offer the right information at the right time. For customers, this means communicating with a convenient, voice-controlled and emotionally intelligent touchpoint. Benedikt Schell, chief experience officer at Daimler Financial Services, said customers expect intuitive, time-saving services that are available 24/7 through the channel that is most convenient for them. Soul Machines is a New Zealand company founded in 2016, specialising in the space of digital avatars and emotional intelligence. The company creates life-like, emotionally responsive, artificial humans with personality and character that allows machines to talk to humans face-to-face. “As we continue to lead the world in advanced AI technology and development of digital humans across a broad spectrum of industries, this strategic investment from Daimler Financial Services puts us in an even better position to quickly develop and test our disruptive technology in the automotive sector together with our great partner,” said Greg Cross, chief business officer of Soul Machines.